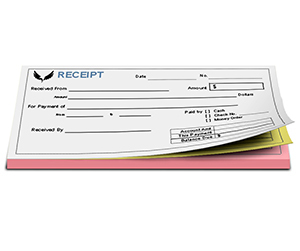 Carbonless forms are the best and most convenient way to create instant duplicates of your handwritten or mechanically typed documents. 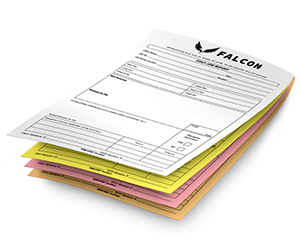 They are utilized by all kinds of businesses in their routine official activities such as receipts or invoices, admission forms, work order forms, purchase order forms, lands0caping forms etc. 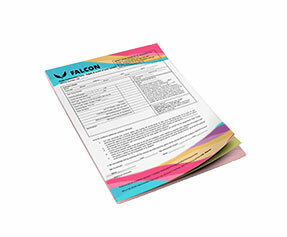 We offer all kinds of 2 part carbonless forms printing services at cost effective rates. 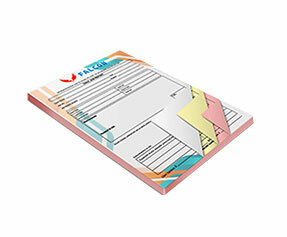 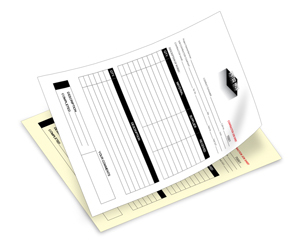  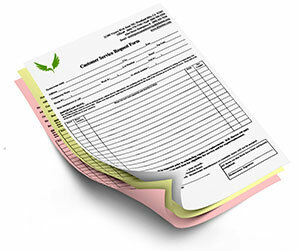 Each set of 2 part carbonless forms consists of 2 carbonless papers which include 1 original and 1 duplicate document. The original document is printed on the paper of your custom selected color and its duplicated is in different color as well in order to avoid duplication. 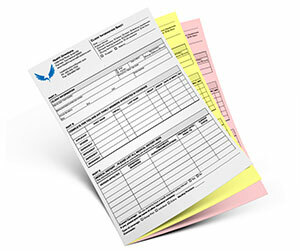 We also provide sequential numbering services for easy record keeping and business processing. 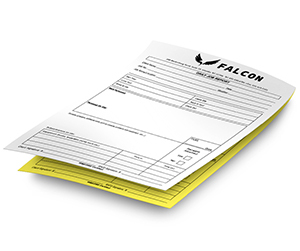 Our carbonless forms are perfectly perforated for easy removal of original form. 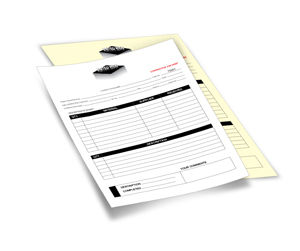 You can either get your forms printed on a single side or on both sides depending on your business needs. 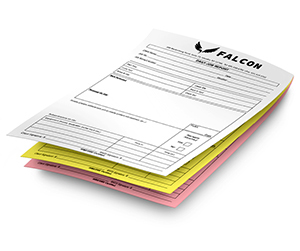 You can get terms & conditions or return policies written on the backside of your forms while your business logo and name printed on the front. 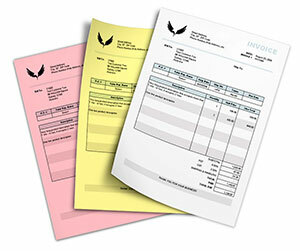 At Printingblue we utilize premium quality 24lb carbonless paper stock for your 2 part carbonless form printing. 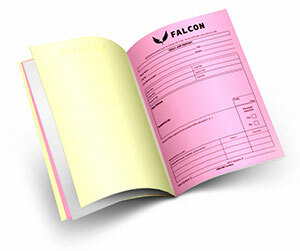 After printing, numbering and perforation, we get them bound in a book form for easy organization and convenience of use.